My name is Gregory J. Ottino and I am currently a rising junior studying physics and math at the University of New Mexico. 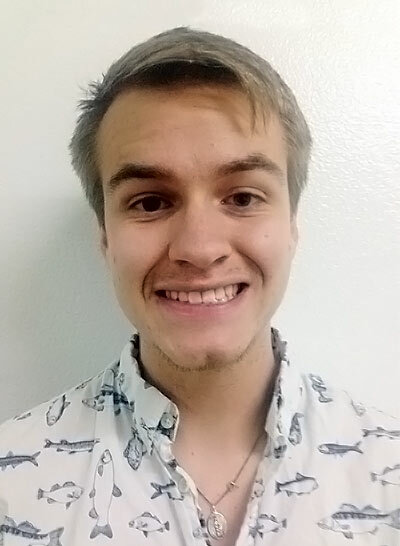 I have served as both President and Vice-President of UNM's SPS chapter, and have greatly enjoyed helping the chapter make a resurgence in the last two years. Our chapter was able to attend the Four Corners Section meeting of the APS and host the first Zone 16 meeting in several years. We were also fortunate enough to participate in several outreach events including two demonstration shows, the UNM physics department's open house, and judging local science fairs. I also currently work in the physic department analyzing colliding beam parameters for the PHENIX experiment housed at Brookhaven National Labs on Long Island. I enjoy tutoring recent Spanish speaking adult immigrants in math as well as learning new languages, currently Navajo and German. When I do get a break from physics, I enjoy traveling to new places and reading new books.